Mironov Alexey Valentinovich – PhD, Assistant, Department of Obstetrics and Gynecology, Faculty of Dentistry MSUMD n.a. A.I. Evdokimov HM of RF. Obstetrician-gynecologist, CCH № 13 Moscow City Health Department. 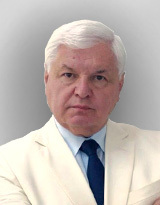 Torchinov Amirkhan Mikhaylovich – MD, Professor, Head of Department of Obstetrics and Gynecology, Faculty of Dentistry. Umakhanova Madina Musaevna – MD, Professor, Department of Obstetrics and Gynecology, Faculty of Dentistry. Galachiev Oleg Viktorovich – Senior Assistant, Department of Obstetrics and Gynecology, Faculty of Dentistry.